The Grenfell Tower fire triggered the largest review of building safety in the UK since the Second World War, and in particular the cladding systems put on many of the country’s tower blocks. Two major insulation components have been identified as part of the investigation into how the fire spread. 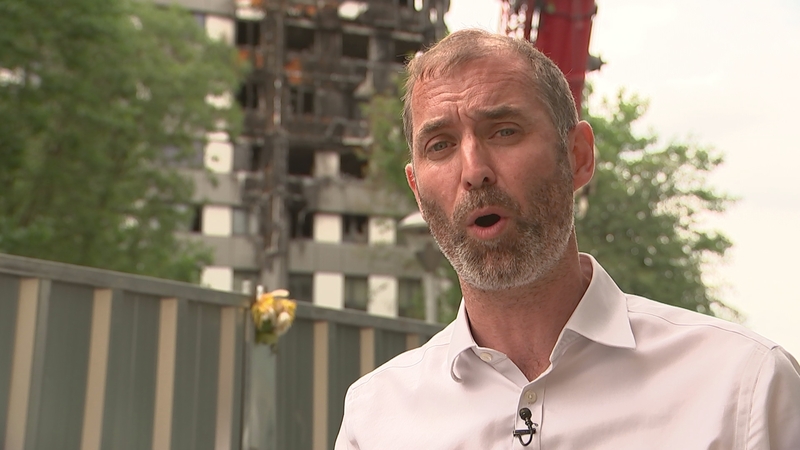 Tonight this programme can reveal that a third key product was used in Grenfell’s cladding system, never revealed to the public before. And so far it hasn’t been examined in other buildings, raising serious questions about the fire safety investigations carried out since the blaze. Kingspan recognises that the terrible tragedy at Grenfell Tower has raised understandable concerns about the implementation of building regulations, the adequacy of those regulations, the materials used in building construction and refurbishment, and how these impact one another. Kingspan supports, and will assist in any way it can, a full and wide ranging investigation to establish the facts of what has happened in the recent tragedy as the only basis for a more considered debate and review of building safety and regulation for the future. Kingspan had no involvement in either the design or the specification of the refurbishment of the Grenfell Tower facade, and neither Kingspan insulated panels nor Kingspan façade systems were used on Grenfell Tower. To the best of our knowledge, the vast majority of the insulation used for the façade refurbishment was PIR (polyisocyanurate) that had no connection whatever with Kingspan. However, subsequent to the Grenfell tragedy we became aware that a very small quantity of Kingspan Kooltherm K15 (less than 5% of the estimated total external insulation used on the Tower) was (…) involved in the refurbishment. Whilst we are still seeking to establish the facts of what occurred, it appears that Kooltherm K15 may have been used as a component in some of the ventilated rainscreen system that was used to upgrade the Grenfell Tower façade, however we have not been able to fully confirm how it was used. Kooltherm K15 has been successfully tested as a component in a range of ventilated rainscreen systems, to BS 8414–1: 2002 and BS 8414–2: 2005, as required by one route to compliance with the Building Regulations for buildings above 18 metres. So far as we are aware, Kooltherm K15 has never been tested with a standard polyethylene (PE) core Aluminium Composite Material (ACM) panel, and we would be very surprised if such a system combining a PE core with any insulation material would ever pass the appropriate BS 8414 large scale test. As we have stated before, given our focus on fire safety, the use of Kooltherm K15 in construction systems that are non-compliant with Building Regulations would never be acceptable to Kingspan. Kingspan is very confident that properly installed and specified our products deliver safe, reliable and energy efficient insulation solutions. Given the ongoing investigations by relevant authorities into the Grenfell Tower fire it would be inappropriate to comment further at this time.